Obvious talent aside, part of Chaz Bear's appeal is that he can't be labelled. Over the past few years, we've seen him experiment with a hodgepodge of genres (and aliases), keeping us captivated with his evolving sound. It's been over a year since we last heard from his Toro Y Moi alter ego. Now he's preparing to drop a follow-up to the R&B-leaning Boo Boo with his forthcoming project Outer Peace. At first, the title seems a juxtapositional play on the terms "outer space" and "inner peace," which would make an interesting concept album. But in his own words, Toro clarifies his intent, saying, "This record is a response to how disposable culture has become and how it affects creativity. While listening, you might pay attention or ignore -- either way that's ok, this is music for a creative mind." Listeners needn't worry, "creative" is a term open for interpretation here. And after hearing the lead single, "Freelance," and seeing its accompanying visuals, we can't imagine that anyone would want to ignore it. Filled with waves of synth, digital instrumentation and melodic sensibilities, "Freelance" has a decidedly '80s feel and the visuals reflect the song's aesthetics. Director and longtime collaborator Harry Israelson mimics a photo shoot complete with neon colored backdrops and lights. Ironically, the photo shoot concept is a bit of art-imitating-life as the cover art for Outer Peace actually comes from the video. In addition to the cool retro vibes, the clip also provides an interesting peak inside Toro's production process as he finds his literal and figurative balance surrounded by his musical equipment. After living in relative isolation in Portland for a year (during which he recorded Boo Boo), Outer Peace is somewhat of a homecoming celebration. 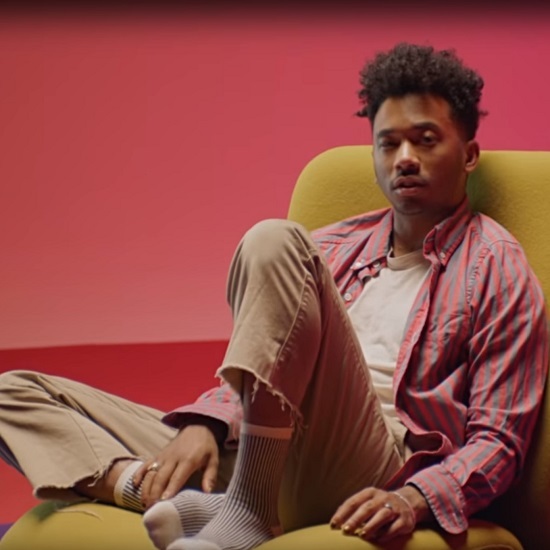 Filled with features by friends like Abra, Wet and Instupendo, the 10-track project is saturated with playfulness while remaining on the cutting edge of Toro Y Moi's musical evolution. Stream "Freelance," peep the video below and pre-order Outer Peace ahead of its scheduled release on January 18th. Afterwards, keep scrolling to view his upcoming tour dates and make plans to see him perform live. Some dates are already sold out, so you might wanna visit his website, like now, for purchase details.